India of 21st Century is witnessing rapid changes in technology on various fronts. One of the areas that is changing rapidly is home appliances. With greater interest in energy efficiency and electricity savings, lots of new technologies have come in the market that can save significant amount of electricity without reducing the comfort levels. 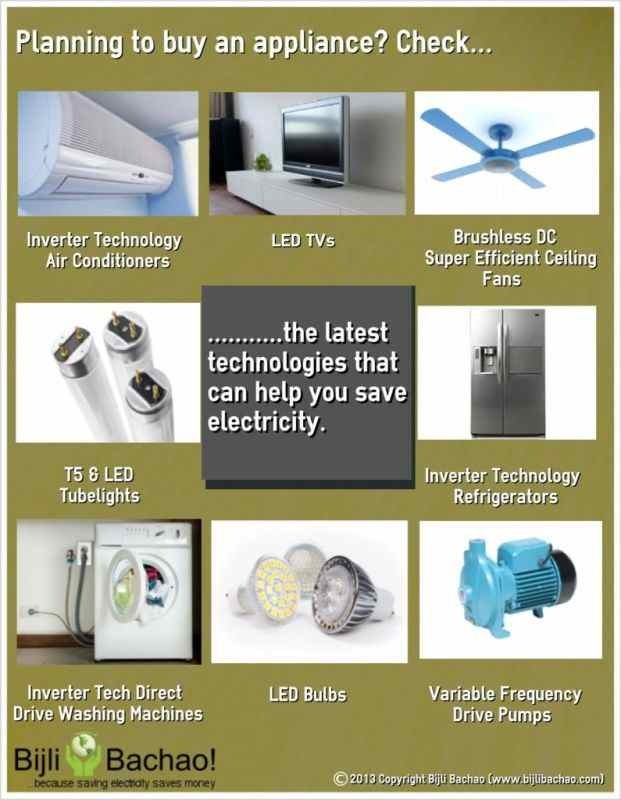 The infographic below lists the best technologies available in various home appliances that can help a home owners save electricity.